New Listing Turn In!New Contract Turn In! Systems Used To Make Your Job Easier! Arizona Regional Multiple Listing Service (ARMLS) is the largest MLS in Arizona, providing MLS and other core services for REALTOR Subscribers. DocuSign is a company that provides electronic signature technology and digital transaction management services for facilitating electronic exchanges of contracts and signed documents. Maximize efficiency, streamline workflows and reduce risk with the essential forms software used by hundreds of thousands of real estate professionals nationwide and beyond. BoomTown’s predictive CRM empowers your agents with insights they can act on and effortlessly matches listings to leads helping you close more deals. The husband and wife My Home Group team of George and Jennifer Laughton have built one of the nation’s most successful real estate companies. They achieved this distinction by practicing the highest ethical values and providing excellent service to buyers and sellers in the Valley of the Sun’s transitioning real estate environment. George and Jennifer Laughton are the co-founders of one of the country's most successful real estate teams. They established The Laughton Team in 2007 and have aided thousands of families in the buying and selling of their home. The Laughton team believes that home ownership is one of the largest investments and biggest blessings an individual may ever experience. George grew up in a small farming town in Oklahoma where he graduated high school as a valedictorian in 1998 and earned an academic scholarship to Oklahoma State University. Justin Baker, one of Arizona’s top producing real estate agents and managing partner in The Laughton Team, is passionate about Arizona’s growing real estate market. Billy has been in the Real Estate industry helping buyers, sellers, and agents reach their real estate goals for 15 year. Starting out as a solo agent, he worked tirelessly to make the experience for his clients fun and memorable. Jen is a lover of dogs who was raised on a farm in Ohio. She grew up playing sports and is thrilled to join another group of MVPs on The Laughton Team. Is there something you would like added to our portal? Let us know! Available Saturday 9/29/2018 10am-2pm . Good traffic in this area! The backyard opens to a lake. It would be good to get a huge flag open house sign and put it in the back yard. You will get more attention that way! Please contact Rachel Lopez – to claim this open house! Buyer Need: single story, 3 bedrooms,2bath, gas heat and stove, fireplace, tile flooring as much as possible, 3 car garage, 8000 to 10,000 sq ft lot, pool if possible, 55+ community, Price range $350,000 to $400,000. Looking for a somewhat remodeled home under $220,000 with a decent size backyard (over 6500 sq feet). 3 bedrooms, 2 bath. He is open to area! He really loves the new flip style (gray and white) but is open to looking at others, as long as it’s not too outdated. Anyone having anything coming up? Ready now buyer – up to $425k in Chandler, Mesa or Gilbert 3+bed/2+ bath, less than 3,000 sq ft MUST have great backyard with private pool with no 2 stories next to it. 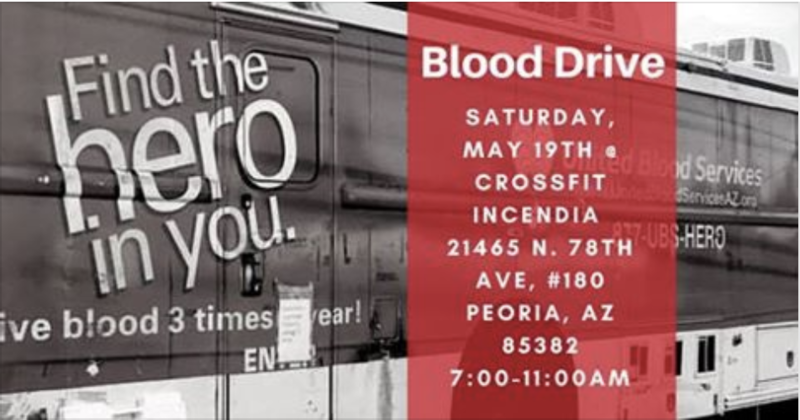 United Blood Services Blood Drive! Don’t miss out on a chance to reach out to your clients and leads via video! Slots are limited! Sign up now! The Laughton Team – Media Day! Annual Laughton Team Awards Night! Come out and join us for our annual awards night celebrating all of your hard work in 2017! April 12th 6:30 pm @ Arrowhead Country Club. Cocktail Attires, Spouses Welcome!